Who IS your leader, teacher, or rabbi? The Zohar tells us that, during the generation before the final redemption, most of the leadership in Israel will be comprised of the Erev Rav. Today, we find such individuals as heads of Yeshivas, judges, and politicians; many of them are even famous. And, although the “stench” of their negative actions is also out in the open, most of us don’t even realize it. In his introduction to The Tree of Life, the book based on the teachings of Rabbi Isaac Luria (the Holy Ari), Rabi Chaim Vital, the Ari’s top student, writes that he once fell into deep sadness because he felt the great suffering in the world with no sign of Mashiach’s arrival. He quotes a portion in the Tikkunei Zohar (Tikkun #30) that discusses how the soul of Mashiach is delayed—generation after generation—simply because of all the negativity we create and the fact that people connect to the Torah expecting to be rewarded with earthly goods. Rabbi Vital also said that the acts committed by the Erev Rav today would be similar to those of the generation of the Flood: the building of “towers” solely to glorify themselves yet claiming it’s all for the sake of Torah. The Zohar reveals that the souls of the Erev Rav come from the negative side. During the 130 years that Adam stayed away from Eve, he sinned by connecting to a female from the other side, which resulted in the creation of all the negative souls that have since incarnated as the Erev Rav. Moses knew what took place soon after Creation and took the opportunity to correct the “Sin of Adam” by allowing the Erev Rav to join the Israelites in the exodus from Egypt. By taking them along on the spiritual journey to the Land of Israel, he hoped to elevate their souls, even though God had advised him against it. Because the Creator did not agree with Moses’ decision, the Torah refers to the Erev Rav as “the Nation” not as the Children of Israel. The win the fight against the Erev Rav is a constant struggle that happens in every generation. The sages tell us that the generation that didn’t see the arrival of Mashiach and the reconstruction of the Holy Temple—because they fallen under the influence of the Erev Rav, yet again—is also the generation that destroyed it (passing up the opportunity to rebuild the Temple is the act of destruction). We have failed every time. Why are we under the spell? The great army of the Snake is comprised of the Erev Rav. They “dress” in a skin similar to yours, in order to make you feel comfortable when you are next to them, so they can befriend you. Yet, when you don’t see them, they change their skin because they actually don’t like you; in fact, too much light burns their skin. And, like vampires, they are after your blood—your soul—and must stay in the dark where they feel comfortable. The darkness is the selfish desires, the chasing after wealth and fame solely for the sake of self-glory. They want to be heads while their essence is tails. In places of worship, you will find many of them in their expensive seats to show they are better than others. Because many of them are rich, they make large donations to the community in order to appear generous, but it’s all about them. And, to seem respectable, the Erev Rav also engage in business with the leaders of their community, many of whom are, in fact, also part of the army of the Snake. We should know that the Erev Rav will not touch the Zohar. They will not engage with it because they cannot handle its great light. And, because they follow Erev Rav leadership, many good people still don’t connect to the Zohar. Their supposed leaders will provide many “good” reasons why they should not connect to the Zohar. Allow me to remind you that this knowledge about the Erev Rav is not to be used against anyone. Therefore, never single out an individual and accuse him of being an Erev Rav. A small mistep could be spiritually dangerous for you. As we all know, hurting others brings about the manifestation of negativity, regardless of who gets inflicted with the pain. Other than doing our spiritual work, our job is to avoid any form of association with the Erev Rav, as well as other forms of negativity. If we follow the Erev Rav, sooner or later (and this is usually during a critical moment in time), they will reveal their true “skin” and make us fall yet again. Watch out! 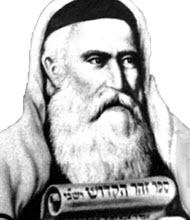 Author Zion NefeshPosted on August 13, 2009 Categories Erev Rav, MainTags Erev Rav, golden Calf, Mount Sinai, Primordial snake, rabbi Chaim Vital, Snake5 Comments on Who IS your leader, teacher, or rabbi? Who and What is the Primordial Snake? Adam and Eve were in the Garden of Eden with the freedom of choice, but they failed to inherit the earth. Why? While on Mount Sinai, the Israelites had the golden opportunity to receive the Torah. When they failed to receive the Torah of the Tree of Life, they received the Torah of the Tree of Knowledge of Good and Evil. Why? Moses sent twelve spies to tour the Land of Israel right before the Israelites were ready to enter it. When the spies came back with their report, what they said about the land caused them their lives, and the Israelites were forced to wander in the wilderness for 40 years before they were allowed to enter and inhabit the Promised Land. Why? The seed of all failures in the world was planted on the first day of creation. And, the presence of the Primordial Snake in the Garden of Eden made all the difference. He was created to challenge us, to force us to choose between giving in to the gravity of the desire for the self or to seek the true fulfillment of the Light. After the original sin, the Snake was sent out of the Garden with the power to control us. He had installed in us the desire for the self and had been given the freedom to “eat dust” all his life. Although we soon tried to hide it, we discovered that part of us was, in fact, made of “dust.” Yes, we are made of his food. As such, he can “eat” us, and he does it every single day of our lives. Yet, there is hope. When God said, “You shall eat dust all the days of your life,” it was also clear that there would come a day when the Snake’s life would end. We are now very close to that day. Therefore, we should be happy about it, but we should also be very concerned. Why? Remember the first fall? The Snake waited for the moment just before the first Shabbat—when Adam and Eve would have acquired full control over the world God created for them—to launch his attack. And, on Mount Sinai, he waited until the last fourth (six hours) of the last day prior to the receiving of the Torah to attack yet again. That is his pattern: he lets you grow, allows you to build energy, and then, he attacks to take it away from you. He always hits when the desire for the self is strongest. The Snake is the Erev Rav, the mixed multitudes that came out of Egypt with the Israelites. He has always right next to the Israelites whereever they may go. Because they are the Snake, the Erev Rav cannot draw the Light directly. And, because God “punished” them when he said to the Snake, “You shall eat the dust of the earth,” they must take from us. The Erev Rav know they cannot exist in the full presence of the Light. Therefore, each time the Light has come close to us in preparation for its full revelation, the Erev Rav have done all that is possible to stop us from revealing the Light in its totality. Now that we are closer to the coming of Mashiach, the Erev Rav are on the brink of awakening in full force—yet again—to stops us. Next article title “Who is your leader/teacher/rabbi?” Check list for naïve followers. Author Zion NefeshPosted on August 5, 2009 August 6, 2009 Categories Erev Rav, MainTags Adam, Adam and Eve, Garden of Eden, Land of Israel, Moses, Mount Sinai2 Comments on Who and What is the Primordial Snake?